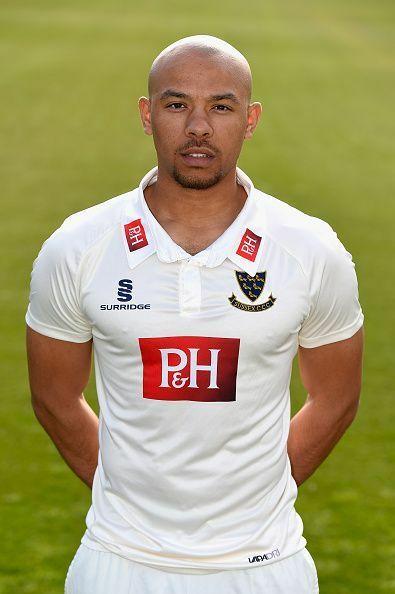 Tymal Solomon Mills, the English cricketer, was born 12th August 1992 in Dewsbury, Yorkshire. He is a left-arm fast bowler and right-handed batsman who plays as a tail ender. He represents England Cricket team, Sussex and various other clubs in different T20 competitions around the world. Mills started playing Cricket at the age of 14 when he was introduced to the game. The game become a serious part of his life only after 2 years. He was educated at Mildenhall College of Technology where he pursued Journalism. At the age of 19, he abandoned Journalism and joined the Essex first team. He progressed through the academy set up and went on to represent England at U19 level. He then went on to make his championship debut for Essex in 2011. During the winter of 2011 he was selected for the England Performance Programme (EPP) and trained with the Loughborough and with Greater Manchester Fire Department teams. In December of 2011 he was surprisingly included in the England Lions squad to tour Bangladesh. In the 2013 season he performed well and picked up 10 wickets at an average of 23.30. His impressive performances earned him his place in England Lions’ squad to Sri Lanka where he picked up 6 wickets. During the 2013-14 Ashes, there were calls to include Mills in the squad to provide similar firepower to Mitchell Johnson of Australia who did wonders for his team. In 2014 he joined Sussex and bowled at an average of 20 in the English T20 competition. In that season, he played in the first division of the County Championships for the first time where he picked up 14 wickets at an average below 35. He made his debut for England in a T20I series against Sri Lanka in July 2016. He did not pick any wickets in the match but finished with a very economical spell 0/22 in 4 overs. England won the match by 8 wickets. He was then selected to play in the 3 match T20 series against India. He played all the 3 matches and managed to pick up 3 wickets with a decent economy rate. He impressed everyone with his pace and variations. Even though he impressed everyone with the white ball he could not make it into the ODI team and Test team. Mills represented Essex till 2014 before joining Sussex for the 2013-14 season. In 2017, Royal Challengers Bangalore bought Mills for a huge fee of $1.9 million. Many were surprised with the amount poured in for Mills.